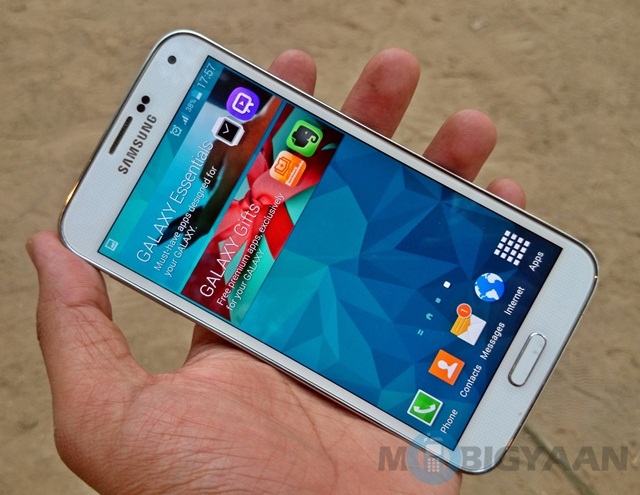 The Samsung Galaxy S5, as we found out in our review, holds out a bunch of surprises. This phone, which many had written off, due to its ‘plasticky‘ design, holds surprises in terms of sales figures too despite its premium price tag. It seems that the Samsung Galaxy S5 has finally done what Samsung has been trying to do with every generation of S-series smartphones, it has beat its main rival, the Apple iPhone 5S’s launch figures. According to iQmetrix, the Samsung Galaxy S5’s figures for the first three days of sale i.e. April 11th to April 13th beat the same figures for the Apple iPhone 5S from September 20th to 23rd last year. The figures states that the Samsung Galaxy S5 captured 23 percent of all smartphone sales on these days in comparison to the Apple iPhone 5S which captured 18 percent of market share on the said days. Another noteworthy fact is that the Samsung Galaxy S4 sales grew in days preceding the Samsung Galaxy S5 launch, unlike iPhone 5 sales, which dropped before iPhone 5S launch. My personal opinion is that the Samsung Galaxy S5 has done quite well in terms of innovation which sets it apart from its predecessor, while I wouldn’t say is the case for the iPhone 5S. The only thing that is lacking here is that little twinge that makes it a ‘premium’ smartphone, despite its price tag. Otherwise, this phone is pretty cool in my book.